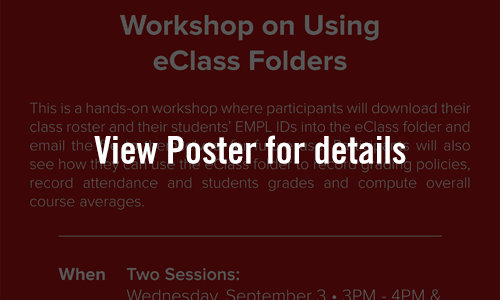 The seminar is designed to make General Education more visible in our classrooms and courses. Participants will explore, implement, and assess a variety of teaching practices proven to engage students using Intercultural Knowledge and Competence as our main focus this year. We are seeking full-time and part-time faculty members to participate in City Tech’s General Education Seminar in Spring 2019. As a Living Lab General Education Seminar Participant, you will become part of the growing multi-disciplinary community at City Tech that is enthusiastically thinking about and developing general education, pedagogy and student engagement in their teaching and learning practices. also supporting creative, original, and critical thinking through the use of high-impact educational practices? community and to the wider public? Brooklyn waterfront — to create hands-on, place-based learning opportunities with our students? How do we know our students are achieving the student learning outcomes of our course? For more information, click to view PDF. 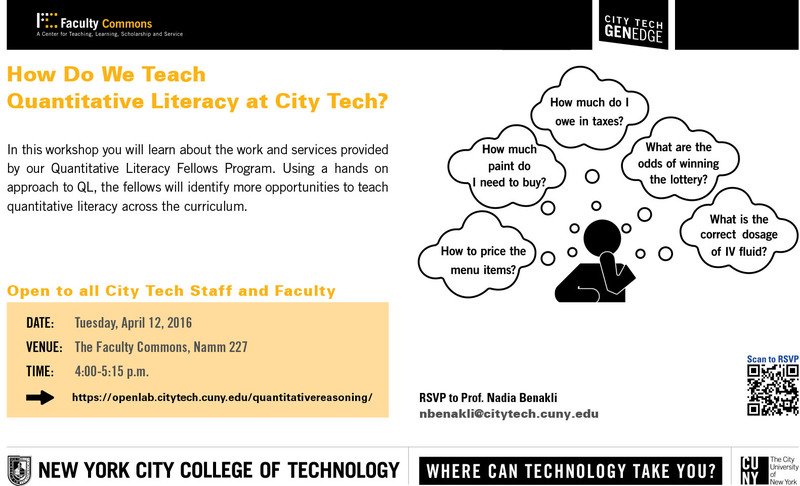 How Do We Teach Quantitative Literacy at City Tech? [icon name=”clock-o” class=”” unprefixed_class=””] Time: 4:00-5:15 p.m. In this workshop, you will learn about the work and services provided by our Quantitative Literacy Fellows Program. Using a hands on approach to QL, the fellows will identify more opportunities to teach quantitative literacy across the curriculum.